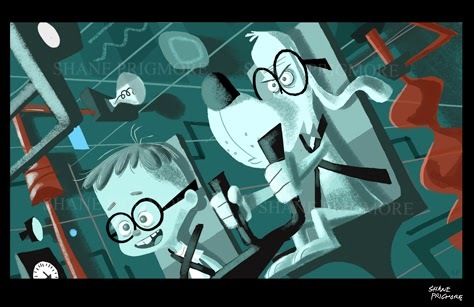 A quick reminder that the Peabody and Sherman panel at GALLERY NUCLEUS takes place on March 22nd. 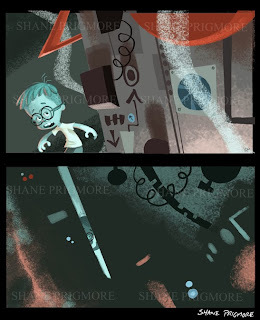 Now,In my previous post I started to share some of the first storytelling images created in the early days of the Mr. Peabody and Sherman movie (back in 2006). Those particular images presented a potential scenario where Mr. Peabody might travel back in time to meet Sherman BEFORE he adopted him…in order to save their father son relationship in the future. 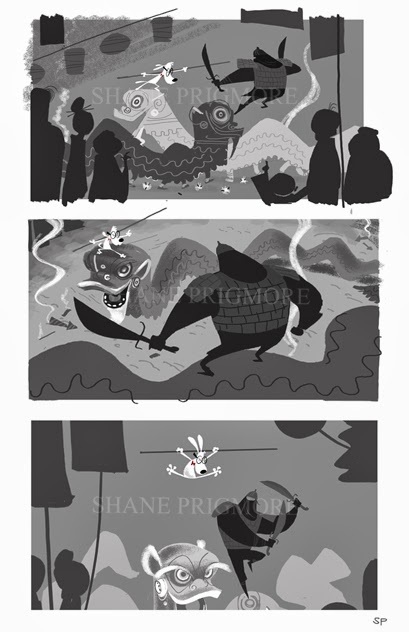 Now, here are just a few more examples of the concepts created and presented during that early development time. 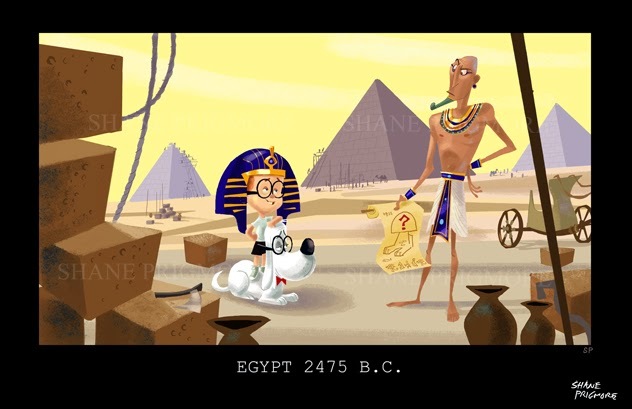 We’ve got to go to Ancient Egypt, so how might they affect that time? 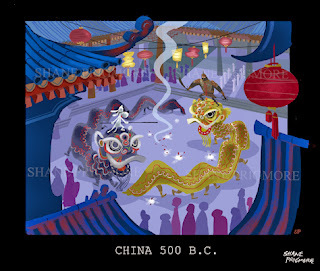 I played with the idea of them inspiring the creation of the Sphinx. The Sphinx did make an appearance in the final film, but in a much different manor. 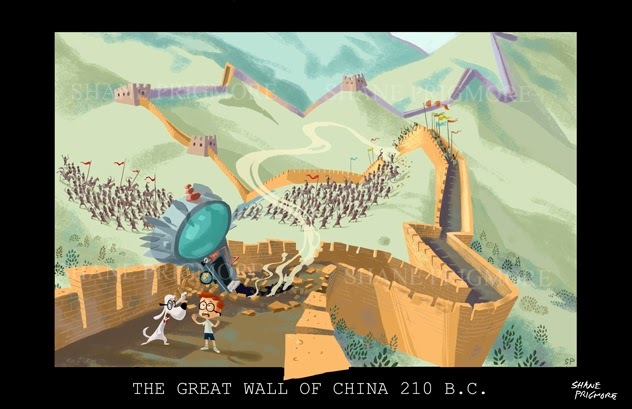 What if they traveled to ancient China to get advice from Confucius, but ended up damaging the Great Wall? They’ve got to visit Ben Franklin during his Kite/electricity experiment. 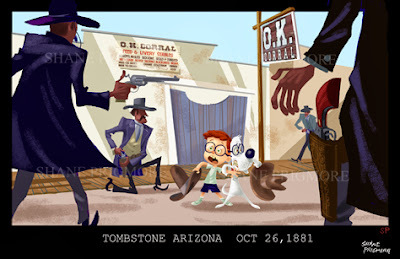 It could be pretty exciting if they got caught up in the most famous shoot out of the Old West. How might they leave un-wanted time-travel “footprints” and affect history in ways that they would need to correct? From King John and the signing of the Magna Carta, to the Dawn of man, and much, much more, we had a blast exploring the possibilities. 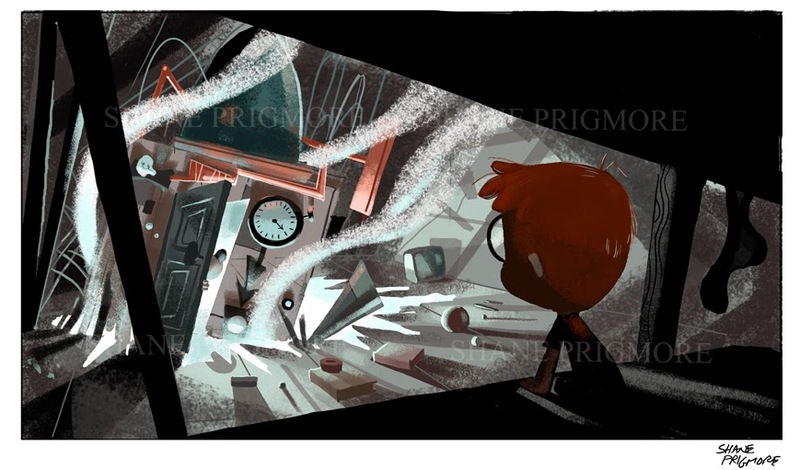 At the same time, we were researching everything we could about the theory of time travel.We even had one of the world’s for-most authorities on the subject come in and sit with our little group to discuss the latest thinking on the subject. It was very, very cool, and it influenced us heavily when approaching the design of the WABAC machine. 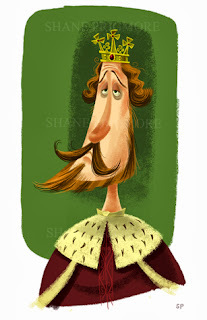 More on that in my next post. 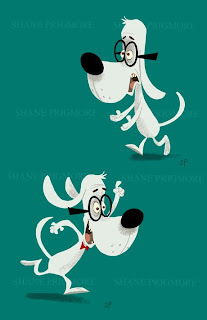 Ive been a little busy lately, so I will go out of order with the posts and start with Mr. Peabody and Sherman (I’ll post on the LEGO movie soon). 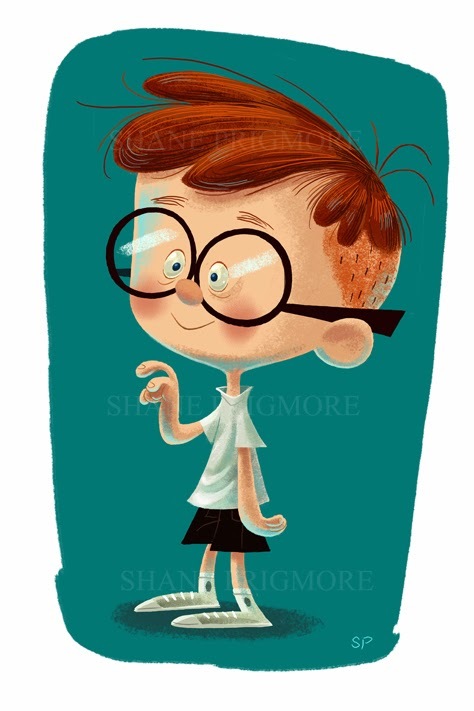 Mr. Peabody and Sherman was the very first film I touched as a development artist at Dreamworks, but it happens to be the last one to be released. 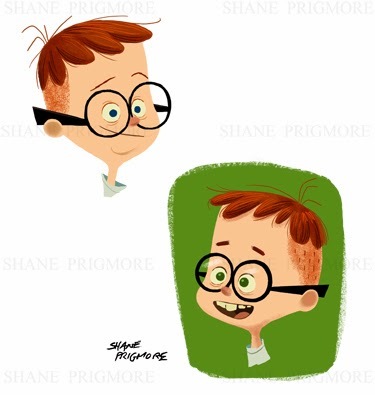 “Way back” in 2006, when I was still designing on “Coraline”, Director Rob Minkoff asked Shannon Tindle and myself if we would help develop a pet project of his…”Mr. 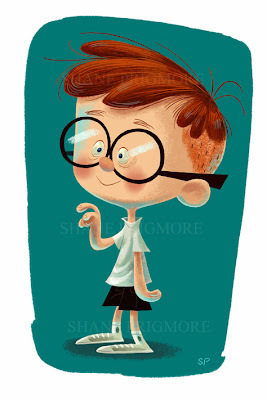 Peabody and Sherman”. 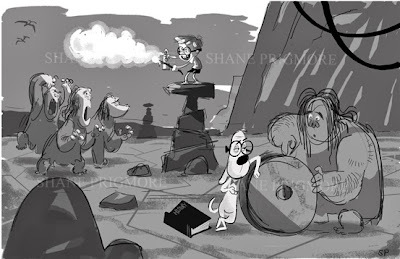 Dreamworks had just acquired the property and Rob wanted us to be the first artists to touch it. There was no script yet, so Rob wanted us to explore the storytelling possibilities as well. We were told that we would be left alone to play and explore for several months. Just a small team searching for the potential of a concept with no outside influence, or check-ins every other day. 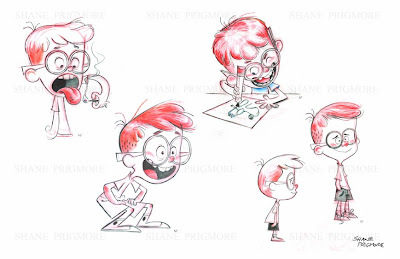 It was the first time anything like this had ever been proposed at Dreamworks, and they dubbed it “the Look Lab”. 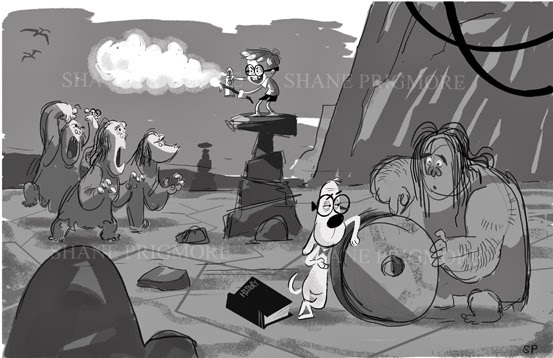 So after our duties on Coraline (in late 2006), we headed to Dreamworks to tackle the challenge of this Peabody and Sherman "Look Lab". Just before we started, Rob Minkoff headed off to China to direct a live action film, so legendary Art Director Alex McDowell acted as our “Look Lab” manager (and protector). We would stay in regular contact with Rob, but now we were officially off and running. We all knew Jay Ward’s work, and the original Peabody and Sherman shorts very well, So design wise our first instinct was to say, “Well, lets just model Jay Wards original designs as closely as we can in CG.” Rob had the same instinct, but still asked us to show him how far we felt the designs could go in a more “naturalistic”, “organic”, three dimensional direction before they would break. Just to see. 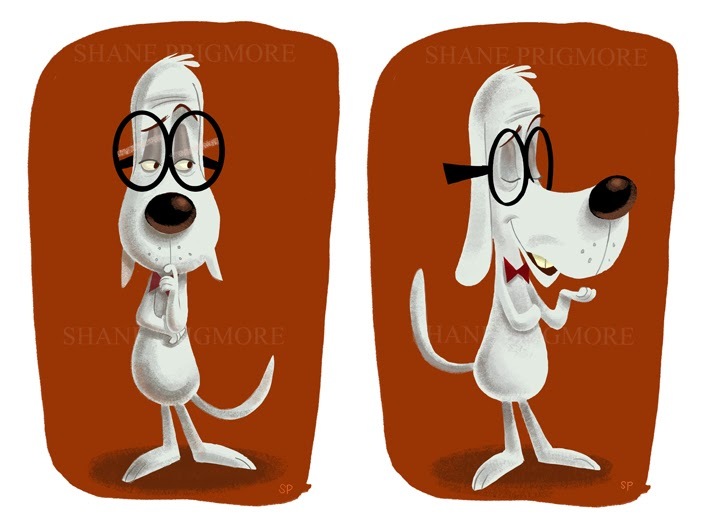 The drawings of Mr. Peabody and Sherman you see in this post were my take on that request. These are not what I felt should be the final designs, but just how far I thought they could go before starting to look TOO far off base. I was also exploring their features, figuring out how we might treat their mouths and eyes and limbs to gain as much expression and clarity as we might need for the emotional journey we hoped these two might embark on. But all the while we were working to capture the personality and vibe that Jay Ward had already established for these guys. 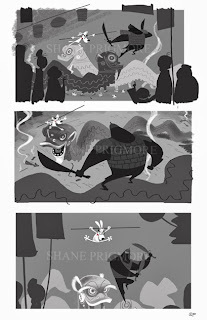 Again, these were all VERY early, first pass takes on everything. These characters and concepts would go through several other artists and modeler's hands over many years before they became the characters you see in the final film. Rob was encouraged by our first attempts, and soon after we started exploring the characters more through story development. We asked ourselves, “What would we want to see in a Peabody and Sherman time travel movie? 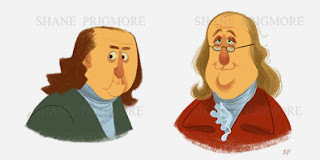 What periods in time would we want to visit? 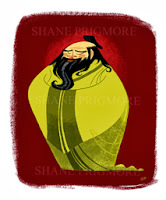 What kind of conflicts could arise, or need to be resolved along the way? 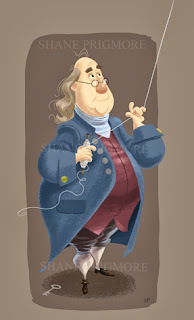 What historical figures would be fun to see and help propel a story? How would a boy and a dog deal with being a family? What are the possibilities?” So we started creating as many fun storytelling images, and designs as we could, just blue skying and sharing thoughts. Putting everything up, looking at each other’s ideas, which sparked new ones. Here are just the first couple of those images I created, but I will share much more of that development work in my upcoming posts! 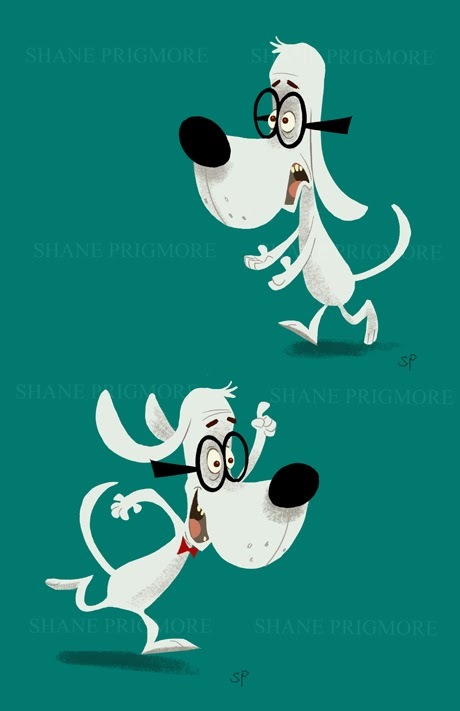 If you want to see and hear more about the making of Mr. Peabody and Sherman, I will be just one of the guest speakers on a special panel taking place at GALLERY NUCLEUS in Alhambra California on March 22nd. 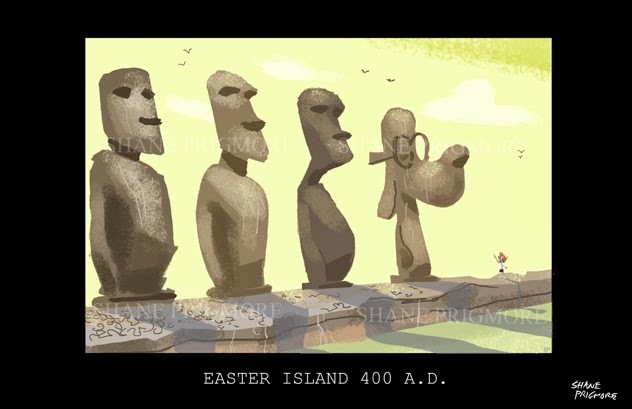 They will even have a print of one of my original pieces from the development of the film (shown above in fact) available for purchase. 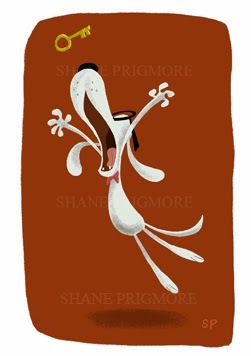 I hope to see some of you there, and stay posted for the continuation of my Peabody and Sherman blog entries.